Our ranges have undergone a serious upgrade since we opened! We now have 3 professionally designed ranges that will help you consistently hit your mark. Our test range is located near the Bow Shop and only a few steps off the Sales Floor. Whether you are picking out a new bow or having service work completed on your old favorite, this range is perfect for making sure everything is doing what it is supposed to. Try out new bows and hone your archery skills on our indoor 20 yard range. Our indoor range is always open to the public during store hours (except during some special events) and is available to clubs and groups on a pre-scheduled, authorized aproval basis. Our ranges are fully climate controlled and we have a sitting area so you can shoot the breeze before you shoot the target. Field points only please. The cost includes a target. Our TechnoHunt system is a TH400 Pro, the most advanced system available. Shoot live action scenes of every game animal in the world from squirrels to elephants and everything in between. Bring your bow and we supply blunt tips to shoot the video screen. TechnoHunt is a great way to practice shot placement before the season starts. We recommend you make reservations so give us a call at 717-653-5524. 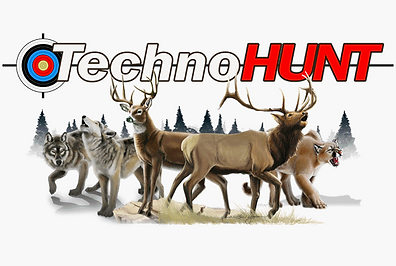 Each Winter we have our TechnoHunt League. It is 10 weeks long from the beginning of January through mid-March. We have divisions for men, women, and junior shooters with big cash prizes paid out for the top shooters. Plus, after the league is over we have a great catered awards banquet with door prizes for every shooter and giveaways for some awesome prizes including top end bows and more! FREE Indoor Paper and TechnoHunt Range Time for kids 15 years or younger! This opportunity will run May 1st through August 15th annually! Children 15 years or younger qualify. One half price paying adult (18+) must be present. Half price on one hour range time plus one target. Free offer qualifies for one hour per day of range time and one free target per day per qualifying child. Equipment available for rent, otherwise, must provide own bow and arrows. First come, first serve with no space reservations available for non-paying guests. If range is full attendees may choose to wait for space or come back at a later time. For TechnoHunt, limited to 4 guests including the 1 adult per session per day.